Celebrate the beauty of fall at this hotel in north New Jersey with concerts, local markets, pumpkin picking, haunted houses, and much more! PARK RIDGE, NJ--(Marketwired - Oct 7, 2013) - With its fall festivals and events, Bergen County, New Jersey, is the ideal autumn getaway. 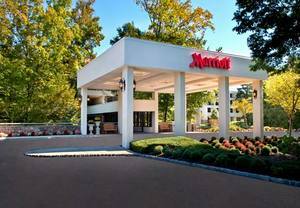 Take advantage of New Jersey's great fall activities at the Park Ridge Marriott, a relaxing hotel in north New Jersey. Celebrate fall's bounty by going apple picking at any of the nearby apple orchards, sampling fresh New Jersey produce at a local farmer's market, or celebrating Oktoberfest at McBride Field in Franklin Lakes on October 17th. There are also plenty of live music events featuring big-name acts, like Cyndi Lauper with special guest Hunter Valentine in Englewood, New Jersey, on October 18th, 2013. Enjoy a weekend filled with family-friendly activities like hayrides, jump houses, pumpkin picking, homemade apple cider, fresh bakery items and more all at DePiero's country farm right up the street from the hotel. On select weekends in October make your way over to the Twisted Maniac Trail if you want a scare at their Haunted House in an old, abandoned peach orchard! 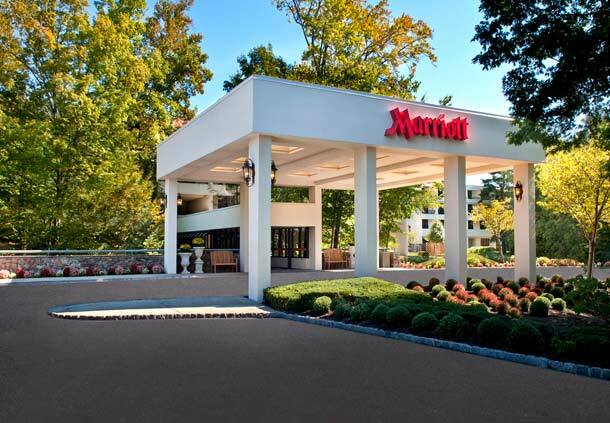 Located in Bergen County, New Jersey, just 30 miles from New York City, the Park Ridge Marriott is a tranquil urban oasis. With its lush tree-lined setting, peaceful stream teeming with koi fish and scenic location near Woodcliff Lake, the hotel is a respite from the busy city. Yet the hotel is just a quick jaunt from exciting shopping and entertainment options, including the Bergen Town Center for luxury shopping, the Met Life Stadium, home to the New York Giants and Jets, and the charming towns of Nyack and Piermont on the Hudson, which have 10 miles of shopping and dining. The Bergen County lodging is also a quick drive from the excitement of Manhattan, which is home to Times Square, Rockefeller Center, Carnegie Hall, and world-class museums, shops and restaurants. The Park Ridge Marriott is a tranquil oasis near the excitement of New York City. This AAA Three Diamond hotel offers high-speed wireless Internet access throughout the rooms and public areas, personalized concierge service, laundry service, and on-site parking. After an exciting day spent exploring New York City, guests can share a delicious meal at Allie's American Grille or meet friends for a drink at Sean O'Casey's Irish Pub. Fitness-focused guests can work out in the fully-equipped gym or swim laps in the saltwater indoor-outdoor connecting pool. Afterwards, unwind in the whirlpool, sauna, or solarium, or indulge in a luxurious treatment from the Botanical Spa & Salon, which offers an extensive list of spa services and beauty treatments. The 286 spacious guest rooms are newly renovated and feature upscale amenities like luxurious 300-thread-count linens, down comforters and plush feather-topped mattresses, TVs with cable and premium movie channels, coffee/tea service, and enhanced high-speed wireless Internet. With 19 meeting rooms, an elegant 8,400-square-foot grand ballroom that can accommodate up to 1,350 people and a total of 18,000 sq. ft. of meeting space, the hotel is also the venue of choice for meetings and events in Bergen County, New Jersey.